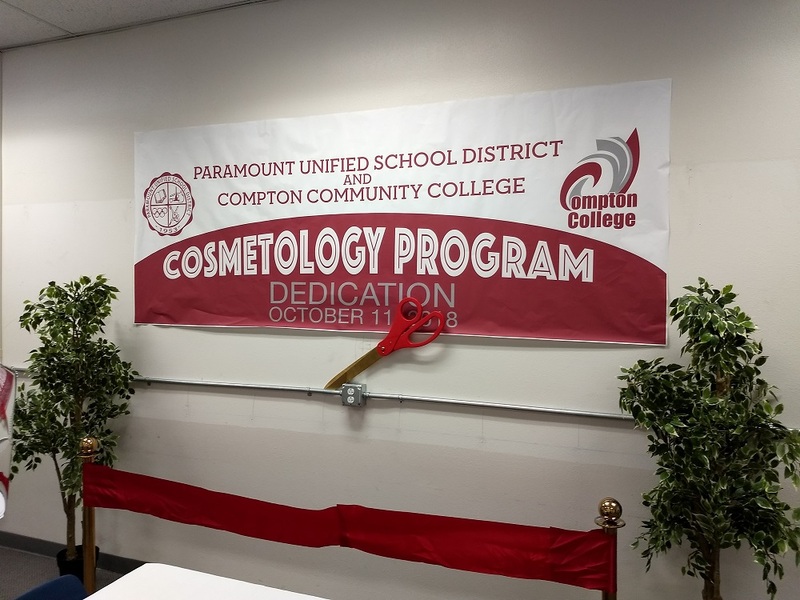 Paramount, CA – Paramount Unified launched a cosmetology program on Oct. 11 at Paramount Adult School attended by Board of Trustees members, community leaders and Compton College representatives. The adult school will launch the program in spring 2019, partnering with Compton College to offer students a path to career success. As a part of the District’s career technical education (CTE) pathways program, students will learn hair-cutting, manicuring, pedicuring and related services. Paramount Adult School will offer first-year courses that allow students to receive college credit toward Compton’s program and ultimately become licensed cosmetologists. At the completion of courses at the Adult School, students will have earned 640 of the 1,600 hours required for state licensing. Expanding the CTE pathways program has special meaning for Paramount Unified. Board of Education members Alicia Anderson and Linda Garcia each have a background in cosmetology, and credit their experiences to helping them reach their goals. 101718_PARAMOUNT_COSMETOLOGY1: Paramount Adult School is partnering with Compton College to launch a cosmetology program in spring 2019. 101718_PARAMOUNT_COSMETOLOGY2: Paramount Unified students will learn hair-cutting, manicuring, pedicuring and related services through the District’s new cosmetology program. Paramount Adult School is partnering with Compton College to launch a cosmetology program in spring 2019. 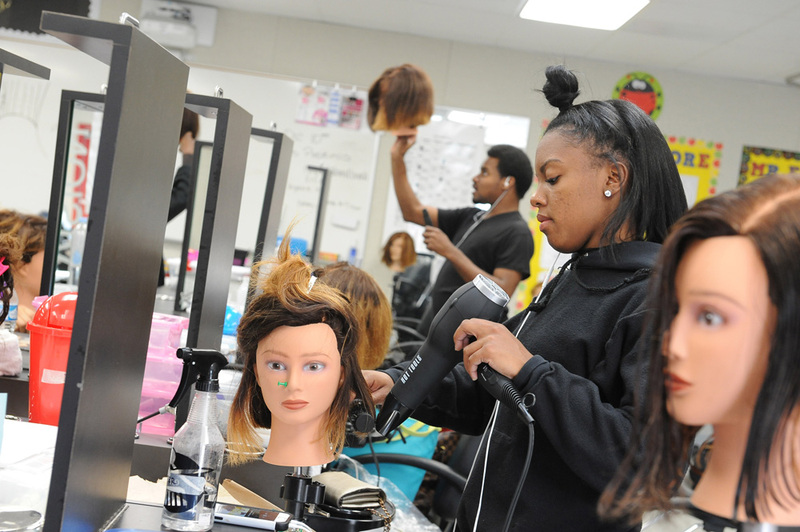 Paramount Unified students will learn hair-cutting, manicuring, pedicuring and related services through the District’s new cosmetology program.